The corporate watchdog is examining a transcript of the appearance by FAI officials at the Oireachtas Committee on Tourism, Transport and Sport. A transcript was urgently sought by the Office of the Director of Corporate Enforcement (ODCE) in the aftermath of Wednesday's eight-hour hearing, Independent.ie has learned. However, it is understood the request became redundant when a transcript was placed on the Oireachtas website, as is normal practice after committee meetings. During the hearing, former FAI chief executive John Delaney refused to answer questions about a €100,000 "bridging loan" he advanced to the association when it was experiencing cash-flow problems in April 2017. Only three members of the FAI board, including Mr Delaney, knew about the loan at the time. Remaining board members were only informed on March 4 this year, after a media query had been submitted to the association. The ODCE has been examining the issue since last month. At the committee hearing, FAI president Donal Conway confirmed it was dealing with inquiries from the ODCE. But the quick request for a transcript is an indication of the urgency with which the matter is being treated. An ODCE spokesman declined to comment. "We cannot discuss individual cases," he said. In correspondence to the committee earlier this week, Sport Ireland said it understood the engagement between the FAI and the ODCE was "substantial". Sport Ireland suspended its funding of the FAI on the eve of the committee meeting, saying it would only consider reinstating it once all ongoing reports commissioned by the association have been completed and the recommendations adopted. In a letter to Sport Ireland last month, Mr Conway said the loan was not disclosed "arising from an omission in the completion of our 2017 accounts". 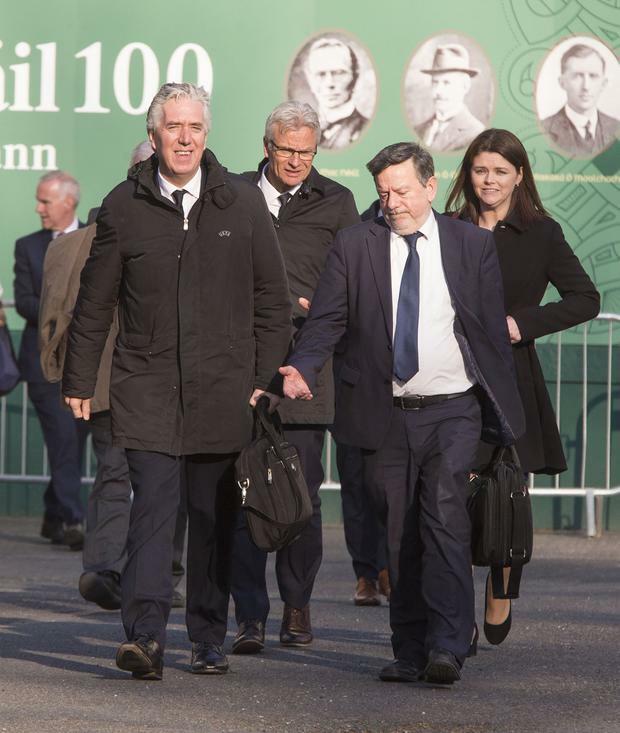 He said the FAI had written to the ODCE's director Ian Drennan "notifying him appropriately" and giving assurances processes were being reviewed to ensure such omissions do not occur in future. Following the loan revelations, Mr Delaney stepped down as chief executive to take up a newly created role of executive vice president with responsibility for dealing with UEFA and FIFA.